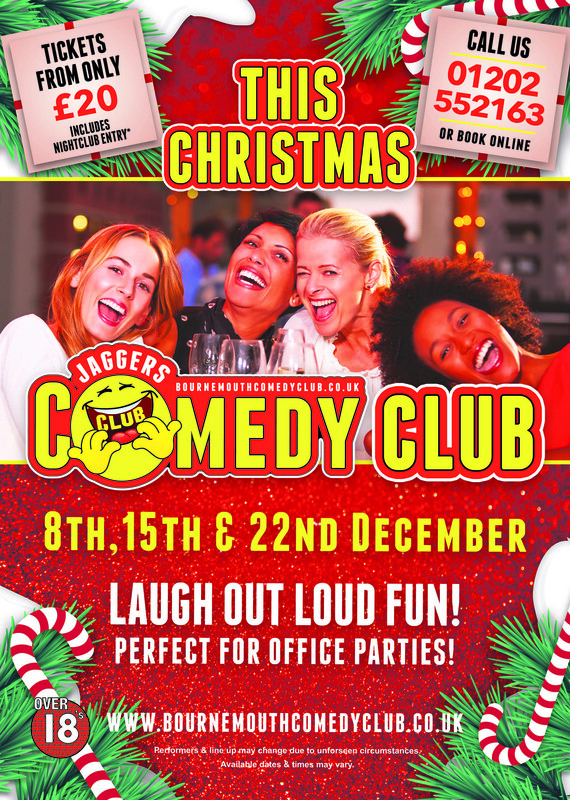 The Christmas season is Here, Book a great night out including a first class comedy show, in Bournemouths most fun Nightclub. This Christmas Treat yourself and your Friends ore Staff to a fun filled night of Comedy followed by entrance to Bournemouth’s foremost Nightclub. With Ticket prices Starting from only £20 per person, available now, its such amazing value for a Night Out. We book first class comedy talent for our audiences’ enjoyment.